Back Country Bill Eco-Adventure tours began in 2004 by a couple of ex outdoor education instructors - Barney and Michaela. 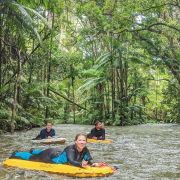 After a career in Outdoor Education and Adventure Facilitation they decided to base themselves in magnificent Port Douglas.They now provide a unique style of personalised adventure touring in the area. 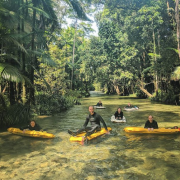 Some of the exciting range of activities include… Daintree and Cape Tribulation Rainforest tours, River drift snorkeling, Mountain biking, Sea kayaking, Bush walking and 4×4 sightseeing. 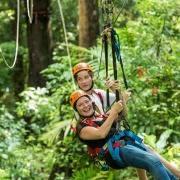 Many of their activities have been showcased in various travel publications, newspapers and TV shows around the world. 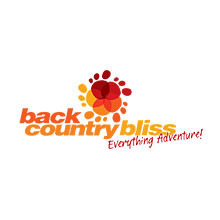 Back Country Bliss Adventures prides itself on its selection of remote and semi-remote wilderness locations, quality equipment, exceptional staff and the highest safety standards. 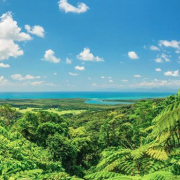 We are also a fully accredited World Heritage Tour Operator and an Queensland Accredited Operator.